Justice of the Peace Lion Murlene “Mel” Spain has been installed as the San Pedro Lions Club President for the year 2012/2013. 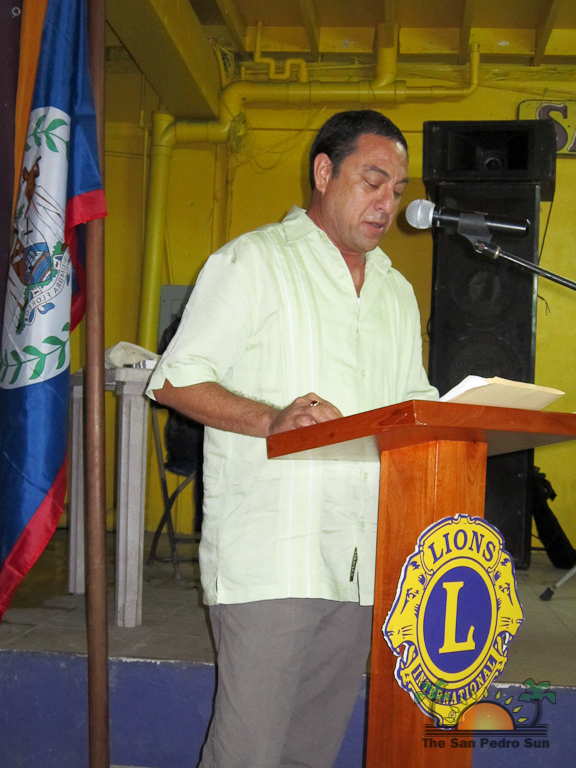 The installation ceremony took place on Saturday July 7th at the San Pedro Lions’ Den and was conducted by Belize Lions Zone 59 Chairman Dr. Glen Espadas. 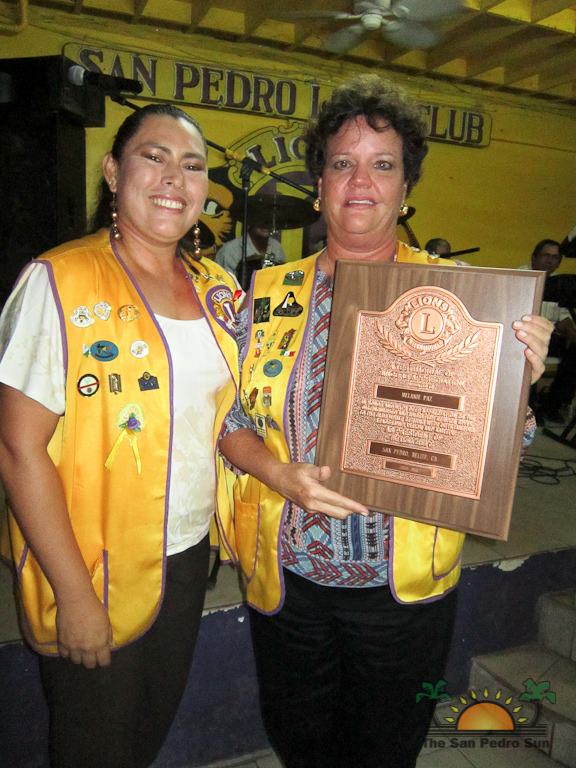 Lion Spain takes over responsibility from outgoing president Lion Marina Kay, making her the third consecutive female to head the San Pedro Lions Club. 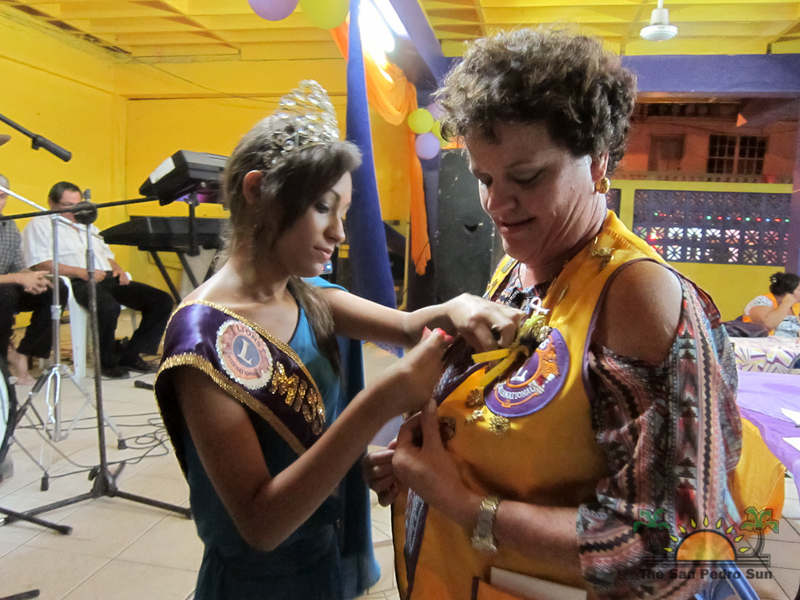 The event had representation from the Belize City Lions Club and the Chetumal City, Mexico Lions Club. 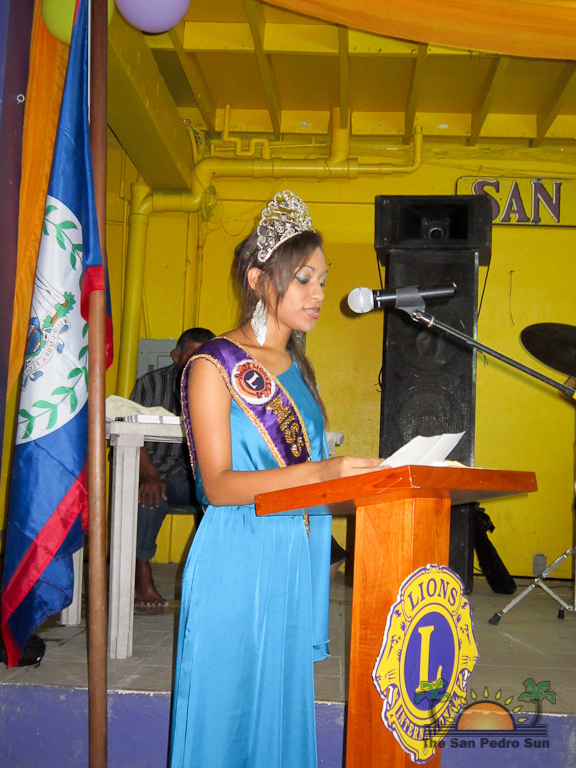 In giving the welcoming remarks, SP Lions Club Queen Shantell Pascascio reiterated the solemnity of the installation. 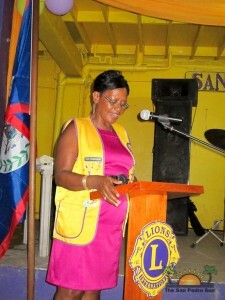 She also encouraged Lion members to take the installation as an opportunity to renew their commitment to the Lions organization, “to serve.” Afterwards Kay, in her remarks, explained that one of her leading projects came to a reality with the chartering of a Leo’s club. She also thanked the community and members for lending their support during her year of presidency and pledged to work with the new president in moving the club forward. After Kay’s remarks the installation was conducted. 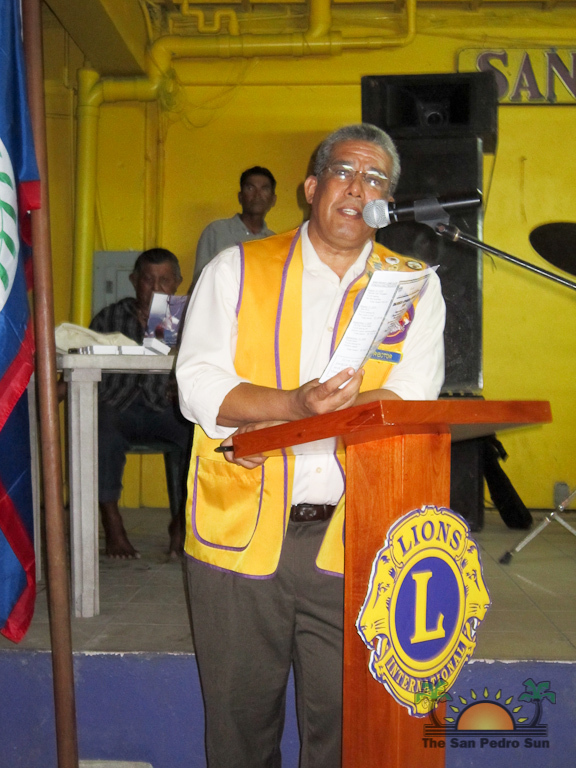 Installing officer, Lion Espadas carefully detailed the responsibility of each new officer who is tasked to ensure the efficiency and good running of the affairs of the club. 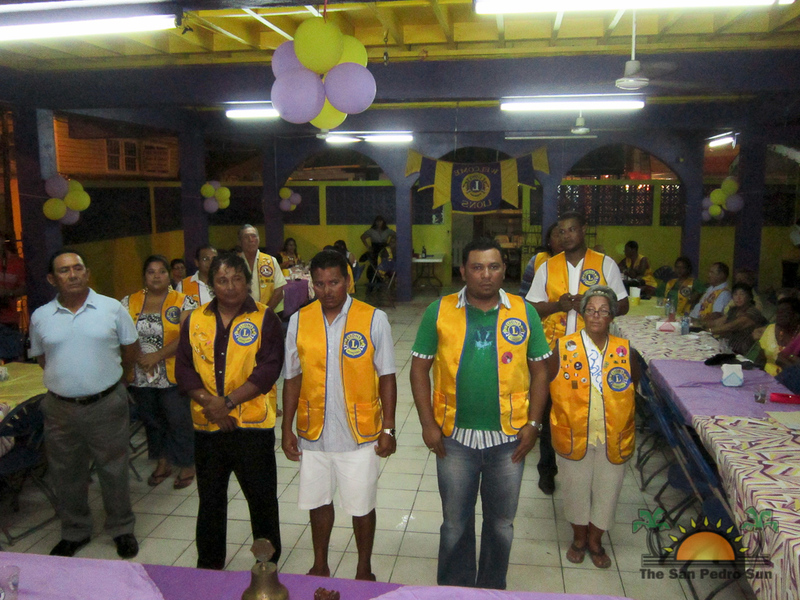 Installed as the new board of the SP Lions Club were: President - Mel Spain, 1st Vice President - Rigoberto Kumul, 2nd Vice President - Ruben Trejo, 3rd Vice President - Roger Musbach, Secretary - Bonnie Musbach, Treasurer - Abel Guerrero, one year Directors Ricardo Verde and Francisco Verde, two years Directors Nesher Acosta and Baldemar Graniel Sr., Membership Chairperson - Ines Anderson, Lion Tamer – Jan Brown and Tail Twister – Pedie Palaza. 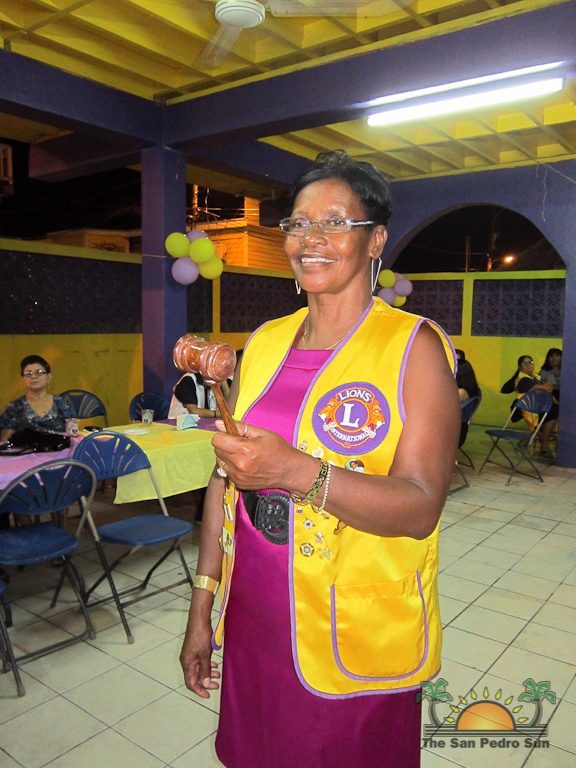 It is the first time in the history of the SP Lions that three females have been elected as Presidents consecutively. For President Spain, she was happy to be making history and said that she finally accepted to take up the challenge. 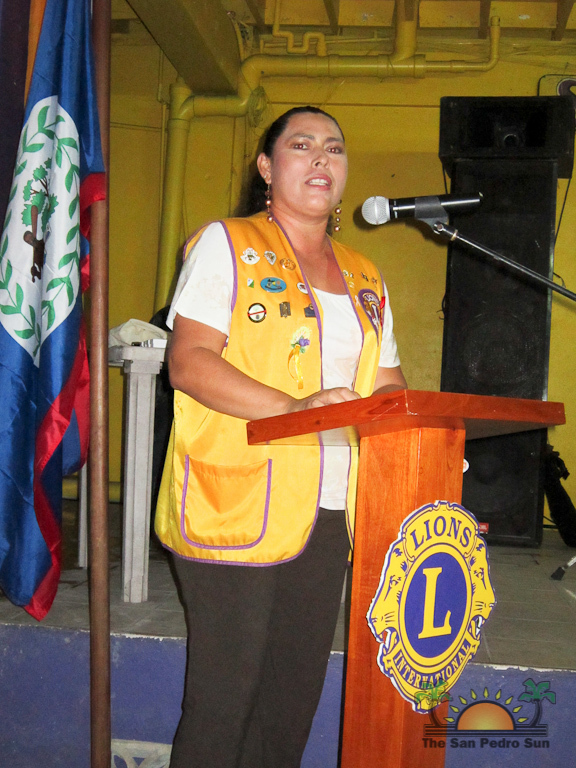 “It is a very special privilege for me to stand here as the incoming new president of the San Pedro Lions Club. I will say that I have finally decided to take the challenge of leading one of the most dynamic clubs in the entire Zone 59. I say finally because I have been running and dodging from being the President for some years now but I think that time has caught up on me,” said Spain. Following the installation, awards were given out to different members for their support over the past year. 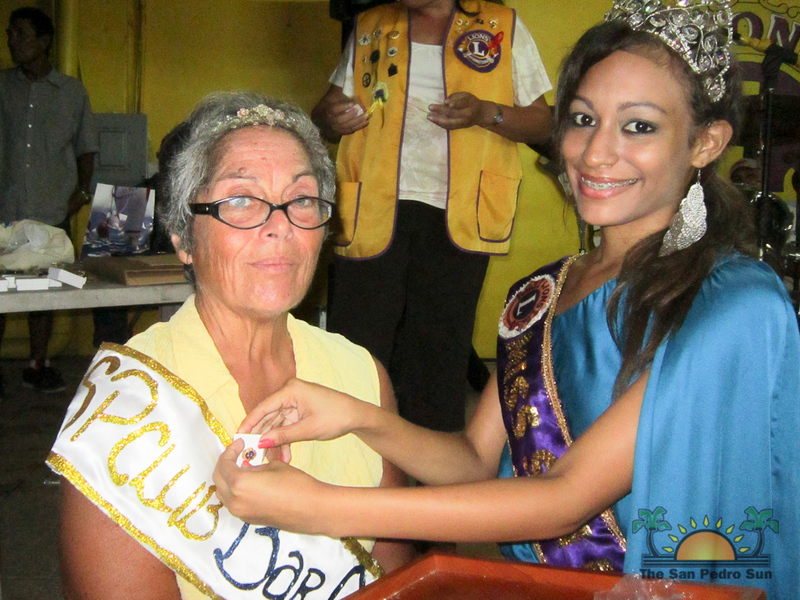 Special pins were presidents to 10 year and 25 year members of the club. 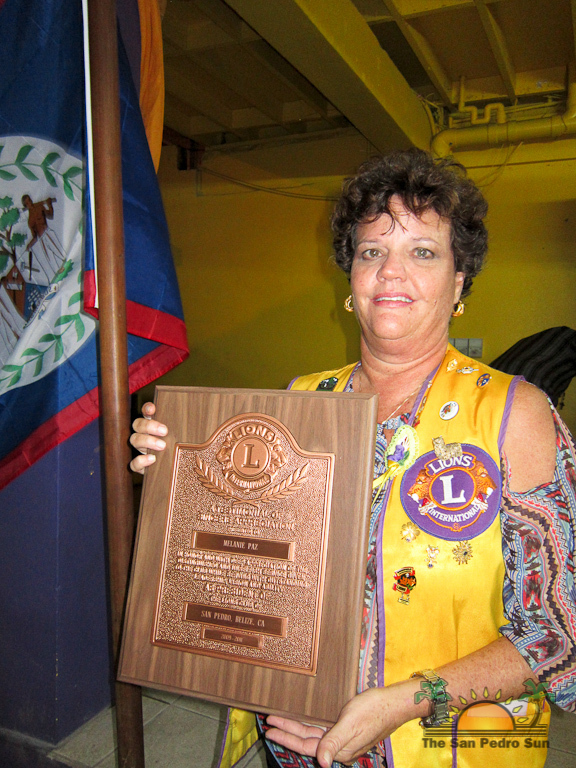 The club also took the opportunity to president Lion Mel Paz with a special plaque for her outstanding contribution to the club during her two year presidency, from 2009 to 2011. 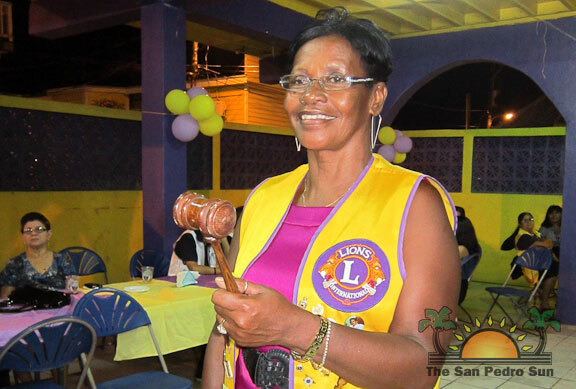 The San Pedro Sun joins the island in congratulating President Lion Mel Spain on her installation and wishes the newly installed board all the best during their term in office. Pancake Breakfast with the Easter Bunny fundraiser a hopping success!